The Susan Hayward School of Dancing. Celebrating the Art of Dance! SHSD Closures - Spring Break, April 12-22. Annual Spring Performance - “Shall We Dance”, Friday, June 7th @ 7pm and “Tales of Beatrix Potter”, Saturday, June 8th @ noon. 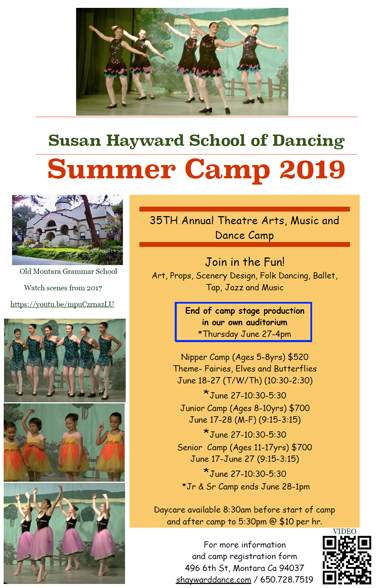 Sign Up for Summer Camp Today! !